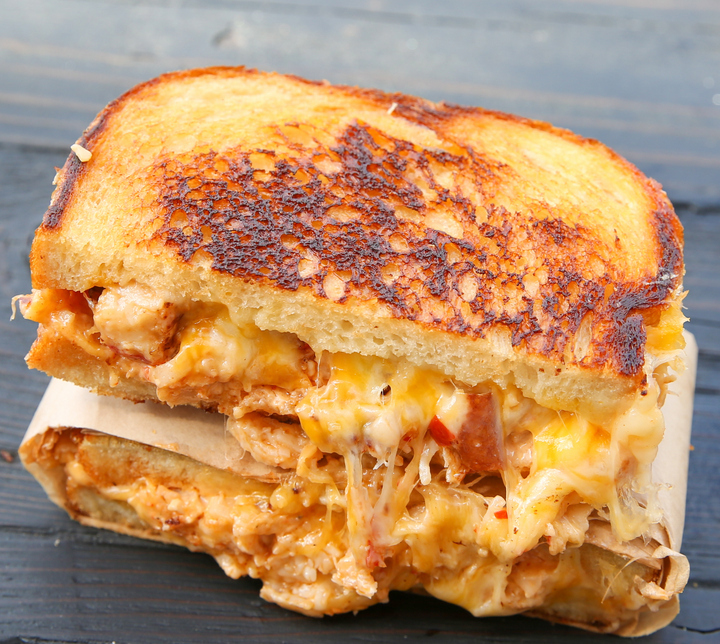 After enjoying success with their food truck and their first storefront location in Mission Valley, Grater Grilled Cheese recently opened a store in Carmel Valley at the Del Mar Highlands Town Center! A word of advice: if you don’t like cheese and butter, you’re not going to enjoy this restaurant. But if your late night dreams are made of cheese, you’ll want to try the Grater Grilled Cheese menu right away! The menu consists of grilled cheese sandwiches (of course), mac n cheese, tomato soup, and loaded cheese fries. Our favorite grilled cheeses are the Basic 5 Grilled Cheese and the Avocado Grilled Cheese. You can also create your own grilled cheese sandwich! The mac n cheese is also delicious, though more of a side size than an entree. We really liked the Grater Mac! And of course you can’t go wrong with the cheese fries, or Pommes Frites! Try the 5 Cheese or the Lobster Pomme Frites which are big enough to share!